Abstract: By exposing a WCF service on REST and SOAP, you can make it more accessible to all types of clients. This is especially useful for the clients who can consume the proxy as well as can understand only HTTP communication with XML data processing. This article shows how to do so. 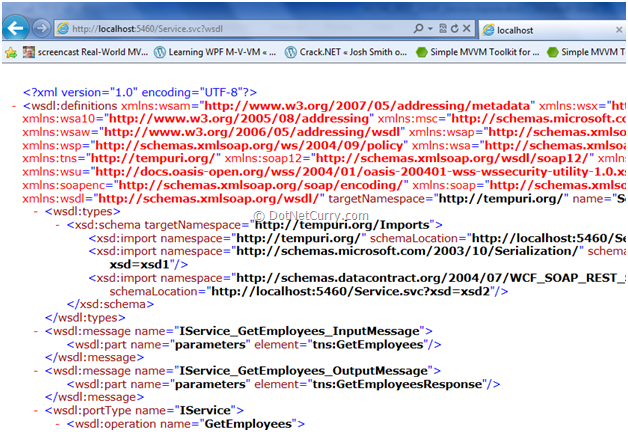 Step 3: Open the Web.Config file and define two endpoints - one each for SOAP and REST. The binding for SOAP is basicHttpBinding and for REST is webHttpBinding. 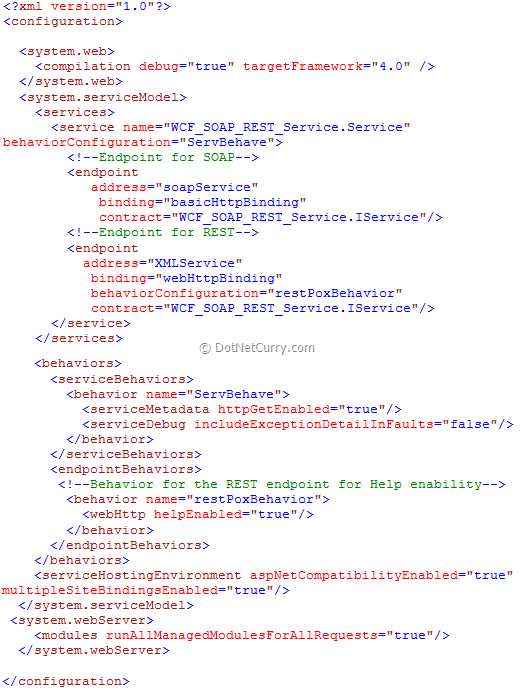 Also define ServiceBehavior for publishing metadata for SOAP endpoint so that the client application can consume the WCF service. 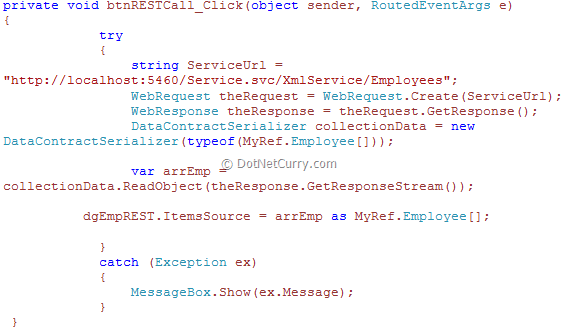 Define EndpointBehavior for the REST endpoint so that the XML response can be send and the help page is displayed to the end user. Conclusion: By exposing a WCF service on REST and SOAP, you can make it more accessible to all types of clients. This is especially useful for the clients who can consume the proxy as well as can understand only HTTP communication with XML data processing. Mahesh very well presented, It's worth for an MSDN article. 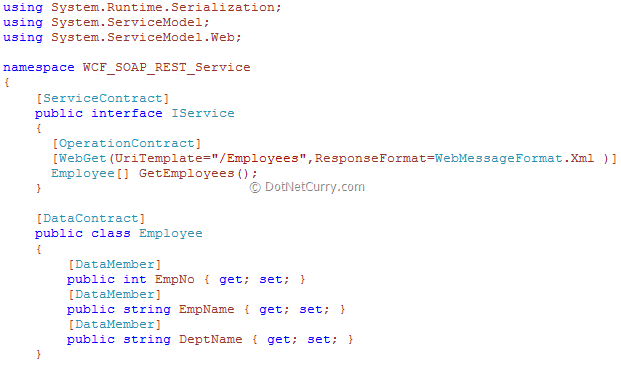 As a side note, If you use .Net 4, then there is an interesting way you can set contract and endpoint. here is the link. Nice article. I would like to extend this further. 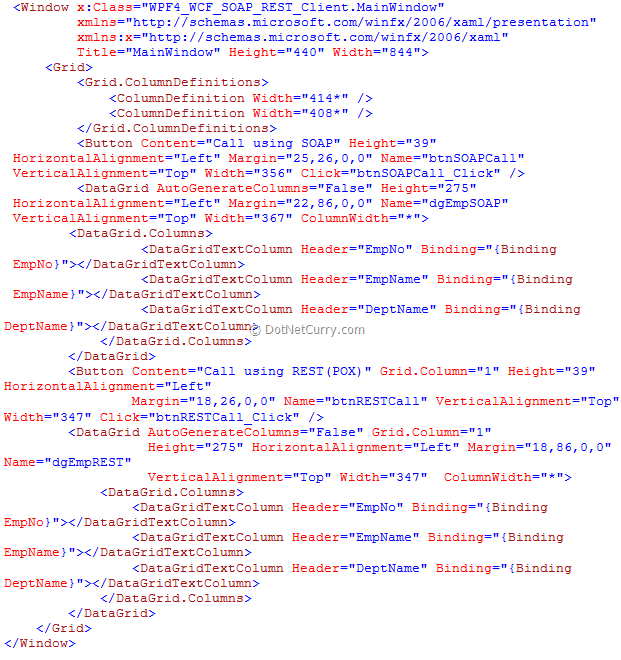 Lets say you want to expose the REST data as either XML or JSON. What would be the best approach to handle that without having to create a separate service method with an attribute set as ResponseFormat = WebMessageFormat.Json. Thanks a lot for your article .It was a great help for me. I found this article to be very helpful. In your config file you specified helpEnabled=true for the Rest service; after adding a description I got the default help page to show. Do you have any pointers on how to get a similar help page to show up for the Soap endpoint? provide me Insert,update ,Delete also as soon as possible? Excellent article. It was a great help. 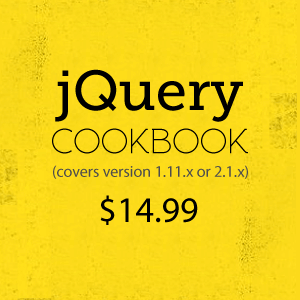 Good Article, I want to see the SOAP xml like SOAP Header SOAP Body and all? Good article. Helped me a lot. Thank you for posting this article. It was very helpful. The only things I ran into is that it used "MyRef" as a reference in the client instead of the actual name given the service as defined in the article: WCP_SOAP_REST_Service. That slowed me down a little bit but some Googling helped me resolve it. 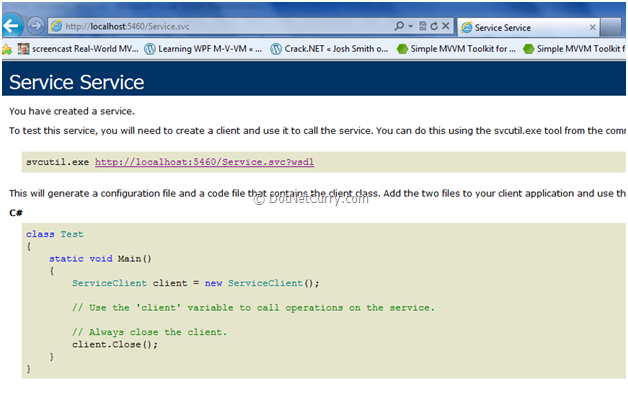 It required adding a reference to the service project in the client project and then changing the "MyRef" to the "WCF_SOAP_REST_Service". Thank you for your article.It helped me so much. But when I used wcf rest service,suddenly usage of cpu rising from %10 to %20.Can you help me ? "the character encoding of the html document was not declared the document will render with garbled text"
while calling directly with the url what is the issue that causes. Nice article Mahesh. For me its a starting step and really helped me to explore a lot!! 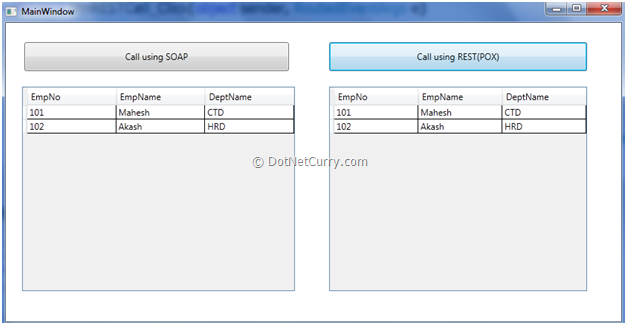 This article will help to learn about the difference between SOAP and REST service. Great article. It solves our big problem. Thank you very much from myself and my friend Nilesh Mistry. This is the good article for REST Services and easily understandle. Thnaks for providing this. Thank you very much for this awsome article. I was new to RestFul service and this article helped me to understand it very well. i am new to.net and i need to work on wcf and mfc technologies would you suggest me a good source to learn this ?? Pretty helful article..this was realyy a piece of cake.. :) :D..thanks alot..GOD bless..
Are there any quick steps to convert this into JSON based (both REST and SOAP) instead of XML based? Also need to know the changes on the Win Application we need to do in order to consume this.